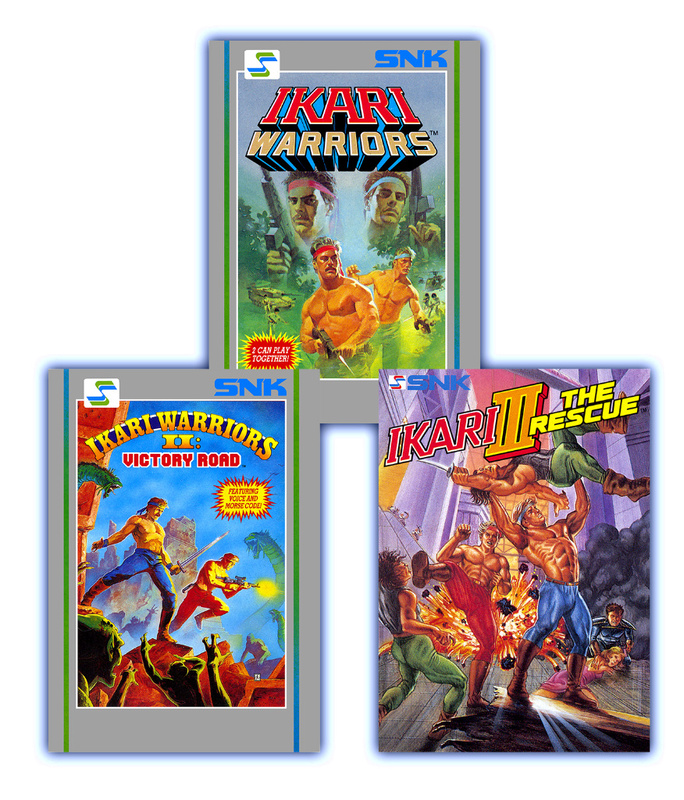 SNK has revealed that its upcoming 40th Anniversary Collection - which includes a splattering of the company's early arcade hits - will host all three games in the Ikari Warriors Trilogy. Ikari Warriors had players assuming the roles of two super-strong, muscly men named Ralf Jones and Clark Steel, helping them to blast down enemy forces in a South American jungle to save their commanding officer. After the success of this first title, two more entries in the series took Ralf and Clark on further adventures - Victory Road and Ikari III: The Rescue. I love that they are including the Arcade AND console versions! I may have to pick this one up! Also, take note, SEGA. This is how you should do your AGES releases! HUGE, HUGE, Ikari Warriors fan, so this is super-great news. Part 2 on NES was the one I played to death and can't wait to play it again. This series contains some of the oldest backlogged games in my gamer history as I never got to play part 1 and 3, but always wanted to. And now I get to experience the arcade games too?? I was on the fence for this collection, but I may just have to fall over to the "yes" side now. It's a powerful collection that's hard to pass up, and many of these I never even had an inkling to play. I'm most happy about them being twin stick shooters to mimic the original joysticks of the coin-op. As a side note...how can anyone be worried about ROM closures when we are getting some amazing retro remakes and bundles. Pre-ordered the deluxe edition. Lovely stuff. This has been known for months. I wish they would talk about the supposed "more" games they haven't revealed yet. I think my family got a copy in Amstrad Action back in the day. It was a fantastic machine. Cool. Now it should be nice of them to reveal the full list of games, hopefully 40. @GrailUK because their are 100s of niche titles that are excellent and will never see light of day again if they go. We shouldn’t burn all other books coz we have a batch of good books. Programmers and those in the industry agree. I can not wait for this collection! Ikari Warriors is my all time favorite arcade game. @Stocksy They don't need to be freely available to download though if the owners don't want it lol. Anyhoo, this SNK 40th is amazing. I wonder how many sales they lose because some folk have downloaded them. We already knew this, Nintendo Life. Come back when we hear about the unannounced titles. Hoping for some more golden age arcade releases to go along with Vanguard. @GrailUK the thing is at least 50% the publishers are long since gone. The rights have lapsed or its impossible for anyone to ever release them. “Owners” aren’t fighting for this. These would lost forever. Especially as hardware starts to fail. Arcade machine roms are even more important. I am a close friend of someone that manged to preserve an ultra rare arcade Rom fairly recently that was massive news at the time. He found the machine abandoned in an old arcade store that had been closed for years. The game was rubbish (which is why barely any were made) but literally no one had a working version of that game. @Stocksy but for many it is theft mate. Listen to some Youtubers arguing for why it should be legal. Their argument is literally 'woohoo free games!'. I agree there are sensible applications for ROM sites, but I do fear it's the case that the majority are just in it for the beer and skittles. This sounds nice for Switch owners. However I am deeply concerned that ROM sites that are offering those games out of the kindness of their hearts for free download will be forced to pull the games in fear of being shut down. Worthy newspiece, so such sites get a voice? It is very selfish that companies like SNK are trying to profit from their IPs. Sweet, the arcade edition of the original sells this for me. I’ve been wanting to play this again since my buddies and I used to blow quarters on the machine back in the 80s. *Erm...Omg, I meant Flip Wars. The CPC was absolutely fantastic during the 80's. I did my first graphic designs with that machine. The CPC has a special place inside of my heart. I love the Amiga 500 and the Atari ST but the CPC with its lower specs stays my favorite because I have really special memories with it. I started using it from about 1990 when I was only a couple of years old, it was all we had to play games on until about 5 or 6 years later when there were a few gameboys introduced into the household. I regret that my father gave it away, I would love to own one again. Minder (based on the UK TV show) was probably one of the first games I remember playing. I learned a bit of spelling and the concept of buy low sell high to make money from that game. 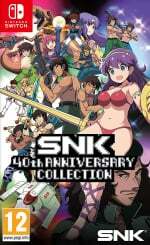 Maybe when this has been out for quite a while and gets a drop to like 20 bucks, but at 40 or 60 i don't know if there is enough SNK titles I liked to want it. Seeing that video reminds me of why I used to want the arcade version of everything so much in the '80s - better graphics, better sound and faster gameplay. Ikari III looks better than I expected too (I didn't know about it beforehand). @MetalKingShield I can remember as a kid thinking home computers would never over take arcade machines. Nowadays, you get people thinking mobile technology will never over take home technology. See this is why I love the SNK collection more than most of the Capcom ones. Capcom only give us arcade Street Fighter no console specific version like Street Fighter Alpha 2 Gold and Street Fighter Alpha 3 Max which are many times better than their arcade original, games like Street Fighter the Movie the Game are different from their arcade counterpart and games like Super Street Fighter II: The New Challengers console versions had exclusive Turbo features and modes not seen in the arcade. There's also the fact that in most home version like Alpha 3 Max you got exclusive characters like Fei-Long, Guile, and Eagle which were never in the arcade original, characters we would love to play again. With SNK you got to play both and experience both complete with their original exclusivity intact, with Capcom collection it doesn't seem that way. So I am stoked! This is rad!!! @GrailUK There are a number of reasons to still worry about ROM site issues. But to keep it tied to your comment, I have found through experience not to get excited about these retro game collections, even though I love the concept and have several on past systems(partly to show support). To get to the point, there's a long history of retro compilations being substandard, from lack of useful customization, to emulation issues and glitches. Capcom thought it was acceptable to release mobile versions of Mega Man that were quite choppy for no good reason. Sega had some issues with their mobile stuff too. Console compilations have had their problems too. Metal Slug Anthology on Wii had forced motion control, for an arcade run-and-gun game. As for me, what convinced me was getting a bunch of Sega games on PC that had broken input mapping. I understand the issues of legality and piracy, as well as keeping great, usually-licensed games available. I also understand your sentiment. But I wouldn't celebrate any retro bundle until it has been released and examined. The publishers need to do far better. @sdelfin Well, I agree publishers can do more. But, I love the effort Dotemu put into their Wonderboy game. The service M2 do by retaining an originals spirit but add features to it. Wild Arms Reloaded adding extra characters. Some folk are going above and beyond. But again (and I am not aiming this at you) there are just far too many folk that still think these games should be free (or cheap) based on the factor of age as opposed to the amount of entertainment they can provide lol. I find it weird. @GrailUK thanks for replying. Those are good examples and I agree. M2 may be the gold standard. Hamster sounds excellent too. And the remakes you mentioned are also good examples of things getting better. I hope things continue in that direction. @sdelfin Toki is another one on the horizon! The new artwork looks amazing. Will pick this up day one. Ikari Warriors was terrific on the CPC. That machine had some surprisingly good Arcade conversions (in among a lot of bad ones) like Chase HQ, Operation Wolf, Contra/Gryzor, Shinobi, and TMNT. Had a 6128 but sold it in 1995 for £80. Really wish i still had it, even if the Disc Drive was dodgy as anything. Still ordered the limited collector's edition months ago, so excited! Oh yeah, they were all great. Rainbow Islands was phenomenal. From the days where having an arcade machine in the home was the dream. If you ever played a cartridge system Pang was amazing on that. 16-bit quality! Pang is awesome, I played it on the GX4000. I still play Pang sometimes but the original one (arcade) and I still have my PCengine CDRom2 version which is a great version too ! @Neofan99 At least someone noticed my genius lol! It’s a classic. Never played that PC-E CD version, though I remember drooling at it in C&VG magazine back in the day. I’ll emulate it and have a look. Do not search for PANG but POMPING WORLD if you wanna try the PCEngine version. Will they substitute the twisty joystick with twin stick controls? Ikari Warriors was the first N-E-S cart i picked up alongside the Control Deck. Man, what a disappointment it was compared to the arcade version, but still sunk hours into it. ABBA'ed all the way to the end, hoping your hours-long playing session didn't end because you got stuck behind a rock or pipe after continuing! SNK redeemed themselves on the home front with Guerillla War, and I'm stoked that's coming as well!